mudcat.org: instruments: does appearance matter? Subject: instruments: does appearance matter? Does the appearance of an instrument matter? Obviously not on a recording. But in a live performance, does the beauty of the instrument being played add something to the enjoyment of the audience? Or is it irrelevant? Subject: RE: instruments: does appearance matter? lights really had a magnetic effect. experience of listening for me. Then again, how do you explain the allure of W Nelson's Martin ? I'm sure accordionists think all that bling and fancy fretwork is a crowd-pleaser but most people these days must just think it's tacky. The "tobacco sunburst" colour scheme on guitars and mandolins really turns me off. Why would anybody want an instrument to look as if it's spent 20 years hanging on the wall in the dayroom of a hostel for elderly alcoholics? I give you Bill Monroe's Gibson F5 mandolin and as said above Willie Nelson's Martin, Ricky Scaggs also has a wreck of a mandolin that sounds great, appearance doesn't matter at all, Johnny Cash famously scratched Marty Stuarts brand mandolin on purpose but it just adds to it's fame. I've often noticed that audiences can "listen with their eyes". Someone with a Martin guitar, say, must ipso facto be a capable musician. Despite audible evidence to the contrary. Just in case it has escaped your understanding. Music is an aural experience not visual. To my mind, it matters. And it doesn't. A beautiful and virtually blemish-free instrument *could* tell the audience that it spends most of its time sitting unused. OTOH, it could also tell that the player just takes fanatically good care of it so that it always looks pretty. OTOH OTOH, if an instrument looks like it has been through both world wars and the next one but sounds like a piece of Heaven, that could say that the player is more into function than appearances. And somewhere in the middle...somewhere in the middle. But I would *think* that whatever it looks like, that the player would want top notch sound. Put this in different contexts. Think of...a dwelling, a vehicle, a romantic partner, and so on. I have a bicycle that I used to ride all over. Others would remark on how ugly it was. It was dubbed the most UNstealable bike in town. Underneath the four different colors of paint, primer, and electrical tape lay a bike that was in better mechanical condition than most of the other bikes around. And yes, many of the pretty bikes didn't see much use. But also, some of the pretty bikes DID see use. Just that their owners spent much time and attention on cleaning and waxing them, cause that mattered to them. Basically, I think attitudes go all across the spectrum, and that they are all valid. That is the wonder of the human condition, methinks. I know you're being snarky but, actually, the brighter and flashier looking the ukulele, the crappier it's likely to be. Good ukulele players use fairly plain looking instruments. the qualities that make a good guitar apply to the ukulele and to other string instruments. At the end of the day, regardless of instrument, it's how it sounds that matters. It's interesting that the old flashy glittery style accordions are increasingly being replaced by ones with a plain wood finish which I think, looks better. I seem to remember in the seventies - I think it might have been Ralph McTell but not positive on this - bought a new Martin, took a disc sander and sanded all the lacquer off the front. Most of the tone of the guitar is made by the front and lacquer makes it look nice and sparkly in a shop window but destroys the tone. At least this was the theory at the time I think - not sure if people still do this? I recall the de-lacquerer being Mike Chapman - but I could be wrong! Did you ever see Willie Nelson's guitar ? And yet the varnish on a violin is sacrosanct. Incidentally, the appearance is important to an audience sometimes. Shiny brass in a Big band say. "Lennon bought his own [Epiphone Casino] in 1966. In 1968, he stripped the instrument of its veneer on the then-vogueish assumption that this would improve its resonance; the fact that the unvarnished wood also gave it a look of deglamourised frankness presumably had its appeal." There's a story told by Irish Travellers of a fiddle player who turned up at Puck Fair with a very expensive shiny fiddle in a crocodile case, set up a music stand in the middle of the fair, took out his sheet music, carefully rozzined his bow and began to play - he was ****** awful ! I think everybody gets bored by a crap player - however nice their instrument is. Some people can make wonderful instruments sound awful. I once read an explanation of why silver-mounted bagpipes always sound better than most. It isn't because the silver makes them sound any better. It's because you're not going to waste silver on an instrument unless it's a good one. "There's a story told by Irish Travellers of a fiddle player who turned up at Puck Fair ..."
Hahaha, nice joke! I must try to remember it, to retell at some appropriate time! Surely, for what they werre getting paid for that and other gigs, a new bodhran might have been a good idea, but of course you have to beat a new one in for months....! If you're ever near Cathal McConnell when he's playing, get a look at his flute. I'd want to put rubber gloves on before handling it. Re sanding off finishes, I played at a regular bluegrass jam back in the late'80's-early '90's and some of the guys took to sanding off the top, back and sides of their old Martins and then applying sanding sealer and it really opened up the sound as I recall. I was playing a fairly new D-28H and didn't have the heart to take a sander to it, especially not in the Florida humidity. One with an odd story: ocarinas. These have a range of functions, as toys, fake educational aids, bird lures, gaming props, sculptures, and instruments of ritual, as well as normal musical instruments. In the last category, the best value for money are usually the Austrian ones made a few decades each side of 1900. They weren't made with perfect quality control and were mostly painted black. If you're buying on EBay, you do NOT want one with a shiny intact paint finish - that means it was never seriously played. If the paint has rubbed off around the fingerholes, you know somebody used it for a real musical purpose for years, so you can count on it being one of the better ones. i was just thinking though...the profusion of wonderful instruments available to club players nowadays - must surely at some point lead to an improvement in the general standards, you'd think. i love ukuleles as well. we need more ukuleles and bodhrans in folk music to keep the revival on track. Definition of a bodhran player ? someone who likes to hang around with folk musicians. This one has a very easy and obvious answer: Yes for some, no for some, somewhat for some. Ok, bait taken, Dave H: I am a musician who happens to play percussion as well as a range of other (melody) instruments. I was a timpanist before I took up bodhran: easier to carry around! Yes and no. A well-kept and maintained instrument says that its owner cares about the music and the instrument, so is likely to play well - or as well as their ability allows. A battered, bent and bruised instrument, on the other hand, can send the message that its owner doesn't care about looking after what can be an expensive investment......and if they don't care about their instrument, what else don't they care about? Playing well? Annoying or boring an audience with a crap performance? Even ukuleles. I have two hand-made ukes which play beautifully (even for a mug like me) and look gorgeous, even though they don't dazzle with sequins and glitter. In the vintage / higher end instrument world (e.g. Gruhn Guitars), the following gradings are used: M = Mint; NM = Near Mint; EXF = Exceptionally Fine; EXC = Excellent; VG = Very Good. Obviously this has a significant effect on the price and eventual potential resale value. On the other hand, an otherwise top flight instrument in only VG condition might bring it into the price range of a player rather than a collector, and sound wise it could be just as good. For the record, "VG" is hyperbole. Most examples I have seen look heavily worn - I would call them "poor". Gruhn used to have another category, just "Good", now deprecated (I would equate this to "renovator's special" in another well known arena). So, yes, appearance does matter, but mainly when you are buying or selling; and poor appearance can work in your favour if it allows you to get an instrument you could not otherwise afford... on the other hand, poor appearance could also go along with more significant structural problems as well which can mean money is required to be spent to rectify these, at least. Of course, one can make as fine music (or as bad) on an instrument that is cosmetically poor as one that is perfect, provided that the structural basics (affecting playability and tone) of the instrument remain unaffected. On the other hand, a beautiful instrument may inspire the player to greater heights as well, maybe... just some food for thought there. I was once turned down for a folk club booking because of my guitar which is finished in the colors of the Irish flag, green white and orange. The booker said it would detract from the “gravitas” of my performance in her club. I responded that blind members of the audience wouldn’t be able to hear the colors, but no joy. 35 years on, I still get asked why I have Mexican flag painted on my guitar. I took a guitar to have some work done...new machines, re-fretting. I asked the luthier if he would also strip & revarnish a rather 'tired' looking instrument. He refused, point blank, saying that the visible wear was like a patina, evidence of a loved, long-played instrument. He agreed to a gentle clean, but nothing more. I remember an interview with Martin Simpson where the interviewer asked Martin if he thought that the decoration on his ( Martin's) guitar was a bit over the top. Unfazed, Martin said he loved the guitar's appearance and couldn't wait to pick it up and play. I wouldn’t buy a settee solely on how comfortable it was – I’d also want it to look good. By the same token, when I buy a mandolin or octave mandola I want it to both sound and look good: Hathway for me, then. I have noticed that some jazz players let their saxes, trumpets etc. aquire a dull "patina", others keep them shiny. Dopesn't seem to affect the sound. Cool, you can actually see the bracing in Cooney's guitar. I have an old Lowden and a Davy Stuart Octave mando that would also have advanced Willie Nelson syndrome if I hadn't added some extra pickguard to the affected area. If I see a good player that plays a good-sounding but ratty-looking instrument it says to me that the music comes first. I `ad that Kenny in my cab the other day. It was quite `andy because I wanted to `ave a word with `im. I said, "Morning Ken. I see you`ve `ad your three-penny worth on that Mudcat. That guitar the fellah is playing in Frankie Gavin`s band, do you think that`s a result of thrashing around with all those Irish jigs and reels?" `e said, "No Jim, they`re personalised now. All the guitar makers offer this service. You state where you want it and they bash a blooming great `ole in it with a club `ammer." I said, " Blimey, hat`s a new one on me." `e said, "No Jim. It`s just progression. `aven`t you seen denims some of the kids are wearing now. They come out of the factories torn to shred but they are nice little earners!!" Actually Jim's message is exactly right, although the situation is presently more common with electric guitars than acoustics (e.g. Fender's "relic" series). However to my knowledge at least one acoustic guitar company makes a selling point of offering a range of "distress levels" for its newly made instruments - here: https://www.pre-warguitars.com/distress-levels/ . Ugh. Yes, and anyone who goes out of their way to buy a 'distressed' instrument is at as concerned with appearance than anyone else. a pair of patched jeans, possibly with home-made flares. I always assumed this was driven by a desire to vicariously live the hippie/bohemian life. Buying a distressed instrument seems to me to answer the same need. It says the person is a bit of a "character" with an interesting past. Buying a second-hand one with signs of wear, I would regard as being in a different category. Here the instrument is the one with character. And let us not forget the canny purchaser of future collectibles, again belonging to a third category. By the way, I can't see any redeeming quality in a rusty cone on a resonator. I don't want to read this whole thread and enter into the spirit of it. I have three observations about the appearance of instruments. 1. Would people put up with pipe organs if they didn't come with impressive displays of gleaming pipes in beautiful woodwork? If a pipe organ were as prosaic as a radiator, would people still be using them? 2. I've heard of people who didn't want a nice, free piano because somebody had painted it. I think that's stupid. If it sounds good, play it. Just on the question of holes in jeans - in Primark the ones with the holes are more expensive than the ones without so you are paying for air. I do remember from 40 years ago the journalistic cliche of the "folksinger with his dusty clothes and battered Martin guitar", and thinking maybe there was a department at Martin whose job was to batter them before sale. Now it seems I am not too far wrong (with a different company, not Martin, but still they are entirely emulating the Martin product, and patting themselves on the head for doing so). And yes, just like the pre-slashed or faded or patched jeans, some reverse snobbery going on here methinks "old/worn=good, new/shiny=bad"). Just fashion, maybe. 1. Oil it regularly, dry it out after use and keep it looking pristine. This is hard work since to bore is so irregular. 2. Let it go damp so the inside gets covered in black mould - mould improves the tone. 3. Who cares? Go down to the lakeside with a sharp knife and make yourself a few new ones every year. JennieG: A battered, bent and bruised instrument, on the other hand, can send the message that its owner doesn't care about looking after what can be an expensive investment......and if they don't care about their instrument, what else don't they care about? Playing well? Annoying or boring an audience with a crap performance? Or one might think that the musician is a long-time musician who probably knows what they are doing. I take very good care of my instruments. They are well-setup, well-maintained, clean, and freshly strung. After thousands of gigs in bars, at weddings, in restaurants and coffee houses, at street festivals, and at folk dances, they are no longer pristine. I suppose expense is a factor, but I take care of my instruments because they are my friends. We have a close relationship, because they are the intermediaries between my musical soul and my listeners. For example I once told someone, you don't play the recorder, the recorder plays you. I take care of my instruments but it didn't stop some cretin sitting on my Fylde mandolin many years ago. The quality of someone's performance has nothing to do with the appearance of their instrument, it's determined by the quality of the actual performance. The late, great Stevie Ray Vaughn was often seen ripping it up on his old beaten up Strat, which probably helped give rise to the vogue of distressing new instruments as mentioned above. There has been a vogue since Victorian days for giving violins an artificially aged look. I bought a new Jay Heide violin some years ago, purely on the qualities of volume, tone and feel, and accepted the ageing look on the exterior. I would have preferred a non-aged model - particularly for the price I paid - but one was not to be had. ...conversely, I remember a doctor with an immaculate pearl Martin who would regularly show up and perform at a open mic I used to run and he was painful to listen to. Nice guy, though. Some instrument builders, notably Gibson had period of roughing the finish up on new mandolins and calling them ' distressed ' to save you the bother of wearing it in naturally. I can easily do this myself. Fake distress is one thing. Being rough on the instrument so that it buzzes or splits affects both the appearance, the longevity and the sound. Take care of the appearance and you are also taking care of the sound. Too bad about the mandolin, Dave. I'm sorry to hear that happened. Lacquer checking seems to be far more common among Gibson guitars than most other brands. I used to consider that to be a negative, but I've developed an appreciation for the crackled look as my own J-45 has aged. 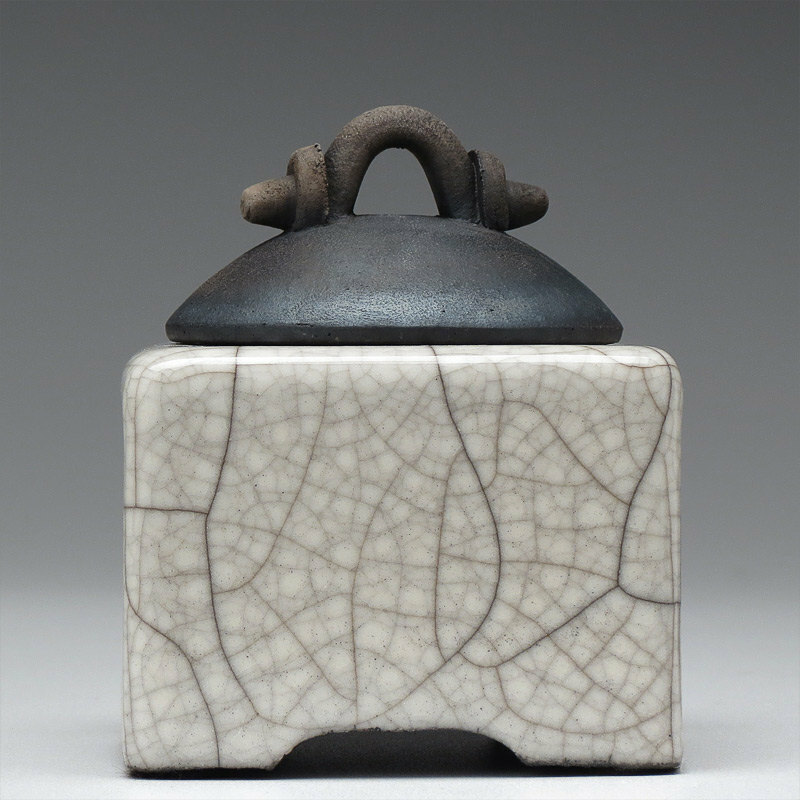 It reminds me a bit of white crackle raku pottery, which I love. As long as chunks of lacquer don't start falling off the guitar, no problem. T was delighted with my first impressions of my Martin in the shop - it was dusty, with dead strings, repaired damage on the back, and the traces of what was (I hope) a can of fizzy drink opened too close to it. All that led to a price ticket around half of what I would have expected to pay. Needless to say, with a little tlc, it played like a dream. Wish I was worthy of it. About 5 years ago I got terrific discount prices on 3 end of line discontinued guitars..
and the guitars got stuck in a corner neglected.. Yesterday I got them out and thought I'd make most of a few spare hours to set them up properly. and that binding has such a sharp edge all along the fingerboard, making that guitar the most uncomfortable to play. The cheapest one has the nicest most comfortable neck...!!!??? When I bought my Gibson F9 mandolin I bought the 3rd one I tried out, it was the best sounding of the 3 and the cheapest, it looks cheap [ they all look cheap ] but sounds great. My button box (aka melodeon) is now about 15years old, and has a few dunts in the woodwork, but still plays fine after one repair to a cracked bass reed. I variously get asked: "It looks very old...??" and "Is it brand new?" Some guitars only yield up their secrets after a long courtship. Some sing with the bloom of youth on their cheeks. Some are a conundrum - they seem to promise great things. And you have to try all manner of adjustments, string options, amplifier settings, finger picks, etc looking for that essential experience. Really it doesn't matter what they look like or their financial value - its that spirituality that they release within you. My violin, although not an especially expensive instrument, was made a long time ago. And to say that I am in love with it, is not an understatement. I have the greatest respect for the craftsperson/people that created this fine musical work of art, and for those that have loved and cared for it before me. So now, I would not ever want to play this beautiful violin in public with old rosin splattered across its face, or with dust visible on its fingerboard or in its scroll. I guess, therefore, that appearance does matter. Although maybe, more often to the performer than to the listener.